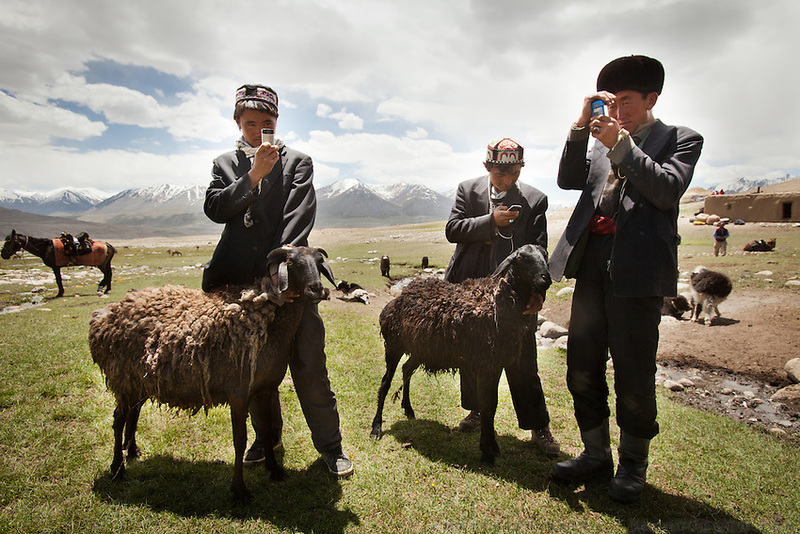 Kyrgyz herders adore their smartphones, which they acquire by bartering and keep charged with solar panels. The gadgets, which first appeared in the Afghan Pamir in 2010, are useless for communication?cellular service doesn't reach the isolated plateau?so they're used to play music and take photos. Phones, like all imported goods in the Pamir, are brought on the back of yaks or horses...Wedding celebration at Kitshiq Aq Jyrga...Trekking through the high altitude plateau of the Little Pamir mountains (average 4200 meters) , where the Afghan Kyrgyz community live all year, on the borders of China, Tajikistan and Pakistan.